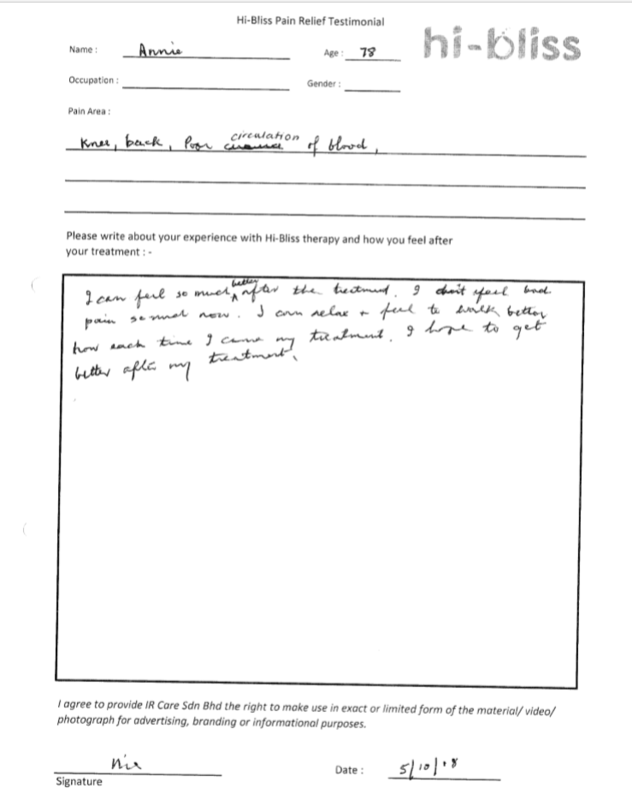 When Madam Yeat first came to see us, she had informed that she was having eczema on both her legs. She mentioned that her condition triggers and worsens when she is stressed. We had also noticed that her skin condition was rather dry, with a small open wound on one of the spots. She admitted that she had scratched one of the spots on her right leg as it was extremely itchy, until it bled. 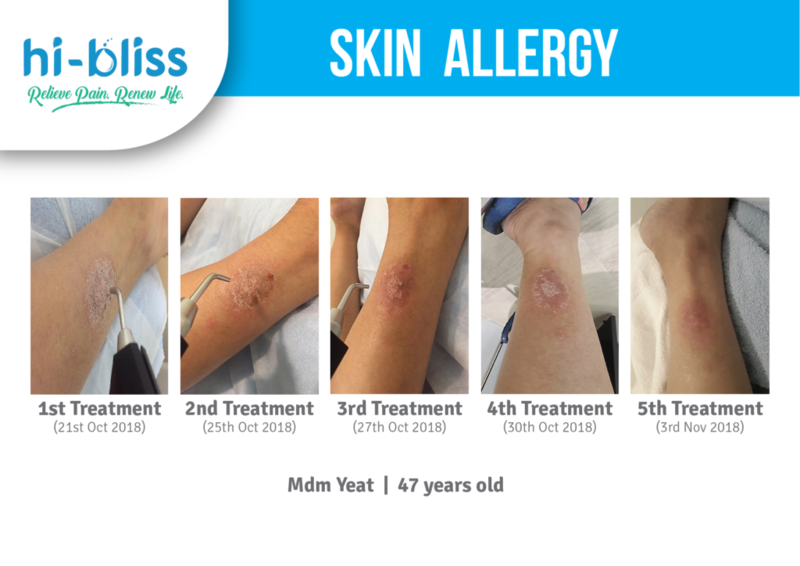 After under-going a few sessions of hydrogen treatment, her skin was less itchy, less redness noticed and less dry. Madam Yeat can now enjoy restful and uninterrupted sleep as there is no more itchiness.